Photo courtesy of Le Moyne Athletics. Le Moyne College claimed the number one spot in the IWLCA Division II Coaches Pre-Season Poll, claiming all 25 available first place votes. 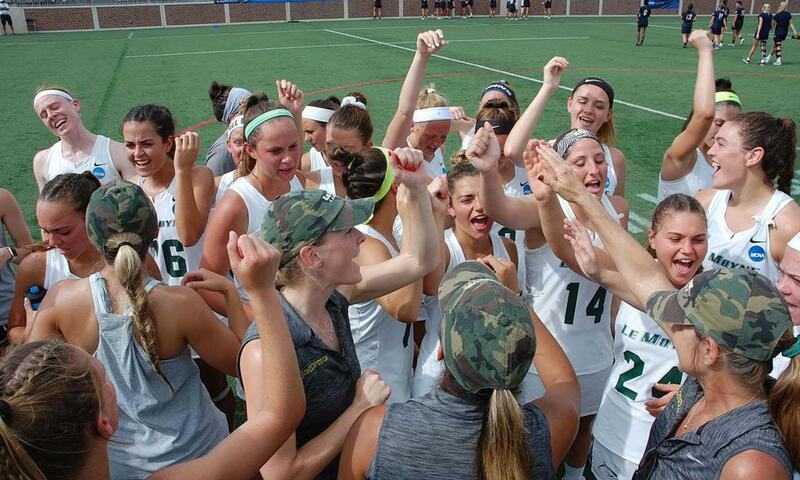 Le Moyne posted a 22-1 record last year as they captured the 2018 NCAA National Championship, and the first in program history. Adelphi University checks in at number two, followed closely by the 2018 NCAA Runner Up, Florida Southern, in the third position. The fourth and fifth spots in the poll are claimed by Lindenwood and West Chester. East Stroudsburg, LIU Post, Regis, Rollins, and Florida Tech round out the top ten. The Northeast 10 looks like one of the toughest conferences based on the pre-season poll, as Pace (#14), Merrimack (#16), New Haven (#20), and Bentley (#23) join Le Moyne and Adelphi to land six schools in the Top 25, while Tampa’s (#19) inclusion in the poll pushes the Sunshine State Conference to four team in the pre-season rankings, as they join Florida Southern, Rollins and Florida Tech on the list. The PSAC’s Mercyhurst (#15), and Lock Haven (#21) join West Chester and ESU to land four in the Top 25. The 2019 Coaches Poll will include 25 teams and be released weekly during the regular season. The first Division II regular season poll for the 2019 season will be published on February 25.